With a fresh 1TB hard drive that's verified to work and original CD's in hand, I went onto install Mac OS X 10.6 with a fresh install rather than cloning this time. It wouldn't install... See above. Macbook Pro won't install OS X with an error message "Installation failed, Mac OS X could not be installed on your computer..." I don't know why. I don't really care. I just want it to work. restart the install from the disk. uncheck everything except the BASE SYSTEM (I think that's what it's called). it should install this time. One thing is for sure, Apple is not the promise land... it's just a new set of problems. Select to SHOW ALL LOGS. This way I know what's happening. That makes me feel better. Or just be patient and let it go through. It's actually doing something. What a disaster... If you see the pinwheel of death, aka the beachball of death, aka spinning ball, let it go for about 10 minutes. Still happeing? Hard shutdown by holding the power button for 5 seconds or so. It will shutdown. Press again to start up the Macbook Pro. The upgrade process should begin automatically. In some cases, I've had to use ACCOUNT TRACKING (rather than USER AUTHENTICATION). For this, a USER must be setup on the Bizhub C360 under ACCOUNT TRACKING. The USER must have a NAME & PASSWORD. When you try to add a computer (XP, SERVER 2003, WIN7, etc) to a domain, you get: "The Specified Domain Either Does Not Exist or Could Not Be Contacted"
If I know that the domain does exist, check to make sure the computer you are working on has the right network settings. You may have to release and renew the IP address. Usually, the DNS is incorrect. If it still doesn't work, set the WINS server as well. It can't resync the raid because there's a read error on the only remaining disk, sda. I wish it would just skip over it because the value of having a working raid is more important than the value of having a bit of information that is probably not that important anyway. I think it's a bug in the mdadm package that's fixed in current versions but I'm stuck with what I have. So download the disk image and burn it. Boot to system rescue cd with defaults. Boot fine! It recognizes the new cloned drive as sda. Reposition the drive sda to the first slot for sanity's sake. Place new hd into the second slot. Here's the long version with all of my notes. It's the perfect example of a sysadmin's downward spiral into the 5th circle of hell. It may or may not make sense. The error return code is below. I had to look it up. Basically it says there's no error. Here's the real issue. It's a read error on the live disk. Let's remove the device, shutdown and add the original sdb back in. Modern hard disk drives are equipped with a small amount of spare sectors to reallocate damaged sectors. However, a sector only gets relocated when a write operation fails. A failing read operation will, in most cases, only throw an I/O error. In the unlikely event a second read does succeed, some disks perform a auto-reallocation and data is preserved. In my case, the second read failed miserably (“Unrecovered read error – auto reallocate failed“). If there were another correctly working disk in the raid, I would just replace the bad disk. But this is the only disk left. /dev/main/root is mounted; it's not safe to run badblocks! Select your language. Select keyboard language. That took too long. Stopped at 1% compelete. This is the decimal number. The hexadecimal number is: 0x3a384623. The system has a raid. LVM is on the raid. The file system is on LVM. Trying to map the bad phyiscal block, to the LVM logical block is nearly impossible because it's manual calculation. But I try anyway. so the bad lba is in sda2. This means my calculations are wrong. The disk has sectors of 512 bytes. (I don't know if this is the block on sda, sda2, md2 or /dev/main/root). Doing a e2fsck -cvy /dev/main/root or a badblocks -n -s /dev/main/root takes too long. The starting sector of sda2 is 208770. The last sector of sda2 is 976768063. The total sectors in sda2 is 976559294. The problem is at 976557729 inside partition sda2. I get some pages back. I get back the package is in the centos base repo. Crap... The good news is that I've verified the LBA block or physical block. calculate something to use dd on the lvm filesystem. Booted from gparted live cd and entered command line mode. Boot into file system recover mode (no live cd or rescue). Now md1 was automatically renamed md127 thanks to gparted livecd. If it says "Preferred Minor : 127" this this is your problem. You need to update the preferred minor. Then you'll have your md127 assembled as md1. And it should stay this way in the future too. Let's zero out the superblock of sdb so that md127 doesn't com back via some type of magic out there. Fist, I check the partition table of sdb with the -lu option so it shows sectors rather than cylinders. Let's zero out the superblock of sdb. Now let's add sdb back in. press right arrow to select NO, Don't start network. press ENTER to CONTINUE, Start filesystem. Can't stop the volume group because there's a logical volume open. Can't stop the logical volume. Don't know why. Use ddrescue to clone disk. The raid starts to rebuild automatically, so we will have to stop it. I have to reinstall grub onto sdb. It should have happened on manage disk array redundancy. Asking for help. md1 was automatically renamed md127 after using gparted livecd. This will rebuild, without data loss, md1. Or to be more exact, use the uuid of the raid disk, md1, and update the name. Of course you need to re-adjust for your raid situation. In my case, md1 was built from sda1 and sdb1. How Do I Remove md127? If you're following along, md127 is on the system because of the gparted live cd. It isn't being used because we've re-built the array as md1. 7.-run the IE9 INSTALLER (as administrator). The fix, for me was a setting in KASPERSKY. 2.-click WEB ANTIVIRUS (on the left-hand side). If you are using the Mac Migration Assistant and migrate the Apps but not the user, copy the files from the old computer to the new user/computer. select DELL (on the left hand side). select DELL OPEN PRINTER DRIVER (PCL 5) (on the right hand side). That should do it. It will work, it just won't automatically pick up the correct model number. Who cares. At least it works. Better than Dell not offering specific drivers. Brother MFC 8440 won't scan as PDF on Windows 8 (32 bit). These are loose instructions as I can't provide step by step. checkmark: "Start ControlCenter when computer starts." start your scan from the Brother ControlCenter (scan to email, scan to file). if needed, change the preference to PDF. You'll have to start the scans from the computer. The scan buttons on the Brother MFC won't work. But at least you can scan to PDF. get PaperPort V11se (I can't provide it online). You'll have to start the scans from the PaperPort in this instance. But at least you can use PaperPort and you can scan to PDF. The ConnectionTool also works if the SCAN button in greyed out in PaperPort for Windows 8.
find IMAGING DEVICES in the tree. right click BROTHER MFC 8440.
click I HAVE THE DRIVERS. browse to the driver folder and inf file. This will install the twain driver. Upgrading to SME v8 (Centos v5, RHEL v5) requires email clients on the internal lan to send email with authentication turned on and SSL turned on. Without this, email will not get sent. To send email from internal email clients without requiring authentication turned on and SSL turned on. How Do I Reset a Ricoh Printer Back to Factory Defaults? Sometimes I get a "Sender name has not been registered to the address book" error on Ricoh printers and multifunction machines. -click USER TOOLS -> SYSTEMS SETTINGS. -click the FILE TRANSFER tab (at the top). -click NEXT or the down arrow button (at the bottom). -click AUTO SPECIFY SENDERS NAME. -while you are there, make sure there's an ADMINISTRATOR'S EMAIL address and SMTP settings. -click OK -> EXIT -> EXIT. As far as I know there is no way to change this on the web interface. I'm probably wrong, I just don''t know where it is. The other settings on the web interface are accessible by clicking EMAIL. Here's a list I just used to figure out the model number of an attached harware wireless client. I was working remotely so I couldn't just look at the label. Look it up on the list and you'll see what I was working with. After I upgraded a client's Macbook Pro (Mid 2009) 250GB hard drive to a 1TB WD WD10JPVT and cloned it with CCC, the Macbook Pro was sloooooowwwwww. Being beachballed to death, I searched for a solution. It's technical but basically the SOFTWARE UPDATE in OSX upgrades the EFI FIRMWARE to v1.7. I don't know why exactly but downgrading to EFI FIRMWARE to v1.6 fixes it (shamelessly reprinted from the Crucial forms). Verify you have a higher version number than 1.6. -open DiskUtility and drag the above image to the left. -plug-in any USB flash drive (no need for large capacity). -click the USB from the left and erase with "Mac OS Extended (Journaled)". -click the image and choose the RESTORE tab. -in the destination drag the USB drive. -beboot while holding the option key to select the USB drive from boot menu. -the Apple logo will come up and a dark gray bar will start to move right under it. -sit relax and wait for the process to be done. -Macbook Pro will reboot automatically. -now open System Information and make sure that Boot ROM Version is MBP53.00AC.B02. If you get "Could not find any scan information. The source image needs to be imagescanned before it can be restored." -click on the image file in the list on the left. -click on IMAGE > SCAN IMAGE (in the menu at the top). The final fix for this is to change the SPECIFIC hd cable, with a 2010 FOXCONN model hd cable that is designed for the faster controller. It's a 15 minute fix and you should be running EFI Firmware v1.7 without any issues. In the example above the link goes to the JEVENTS component. I wanted to place a quick icon for Joomla 2.5 because I want my client to easily be able to access what they need to access. You can replace the LINK with your custom link. Need to get to reset the counter on the Ricoh 4100nl? 7.-turn OFF & back ON. Need to get to SERVICE MODE on the Ricoh 4100nl? You're in SERVICE MODE on the Ricoh 4100nl. Are you getting an error message that says, "REMOVE MISFEED INTERNAL PATH" after changing the MAINTENANCE KIT on your Ricoh 4100nl? -remove two screws that hold the left panel on (one in back & one on left side after opening up the front). -you'll see 2 silver motors about the size of a quarter. -the lower one has a metal rod in the middle. -push it all the way in. It has to be all the way flush with the rest. It came loose when replacing the paper feed roller. If that doesn't work, I usually trash it. Probably thrown away about 10 so far. They don't make them like they used to. Still better quality than when I was using Dell/Lexmark products. You plug in a external disk drive into an Windows XP computer. The disk doesn't show under MY COMPUTER. You look in DISK MANAGEMENT and you might see HD Drive in GPT status. CAUTION! This will erase everything on the disk. If you need to get data off the disk, you'll have to use a data recover program like R-STUDIO or ICARE. -click on "Start Menu" > click "Run" > type "cmd" > click "OK"
-type "clean" (This command removes GPT disk from the current in-focus disk by zeroing sectors). -right click on disk info > choose "Initialize Disk"
-right click on disk info > choose "New Partition…", follow Partition Wizard and format it. -now you are able to use the disk in Windows XP. Run iPhone Explorer on your computer (install it if you don't already have it). Unplug your iPhone, launch Camera Roll app and wait as it rebuilds the database. HP printing gibberish when printing PDF's. The first page comes out in English but the other pages come out in hyroglyphocs or gibberish. -click Start > Control Panel > Network and Sharing Center. -click Change Advanced Sharing Settings. -make sure File and Printer Sharing is Turned On. -make sure Password Protected Sharing is Turned Off. -navigate to Computer Configuration/ Windows Settings/ Security Settings/ Local Policies. -click on User Rights Assignment. -click "Access this computer from the network"
-make sure EVERYONE is added to the list. Ricoh printers should be able to print with a RAW PORT and port number 9100. These are the default settings for TCP/IP printing. 2.-type: lp (that's a lower-case L and lower-case P in the QUEUE). I recently had this with an MPC2000 (MP C2000). In the end, I switched it back to RAW PORT 9100. It seemed it was a firmware issue. Finding your service tage or serial number can be a pain. These are needed so that I can get the right drivers on the computer which is always harder than it seems. 2.-hold the MODE button, and turn it on. 3.-hold the MODE button until you the AP lights turn red, which should be after about 30 seconds. 2.-plug your PC into your AP's Ethernet interface using a Crossover cable (this is required). Note that the AP only holds the 10.0.0.1 for 5 minutes after boot. Also note that if it's plugged into a router, it will pick up a DHCP address. 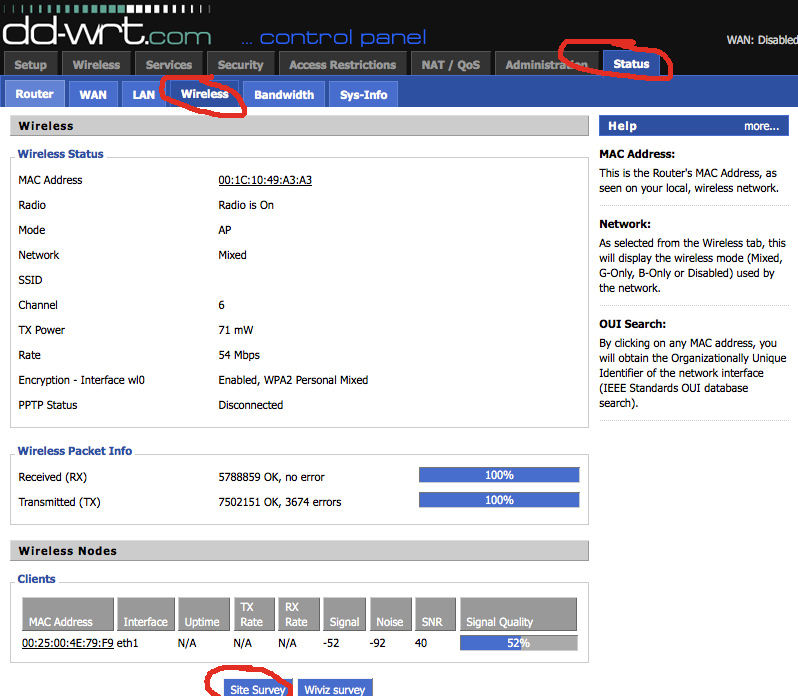 If so, you may be able to look at the address table on the router and match up the MAC ADDRESS with IP ADDRESS so you can see what address to connect to. Hope that makes sense. For the record, the above access points are nearly the worst wireless units I've ever come across. It's taken nearly all day to reconfigure these units that could have been done in a matter of minutes on DDWRT. After that, one went awol and brought down the entire network for some unknown reason. I'm seriously considering dropping these units in the project and replacing them with Asus units with DDWRT. So this site has recently been the target of CONTACT FORM SPAM. This means that a CONTACT FORM on the web site is being hammered by an automated process to submit content to the form that is really just junk and random letters. I went ahead and contacted the abuse department at giga-hosting.biz, the company responsible for the server and ip address. I'm doubting to get any response but you never know. I put on CAPTCHA on the contact forms. CAPTCHA is where it makes you spell the funny letters and numbers before hitting submit. You know what I'm talking about, right? Good. Well, unfortunately, in this world it is just about absolute necessary to have one of those on just about every contact form. And upon sending the message we received the response of "[your email] is_not_yet_authorized_to_deliver_mail_from" message. Basically this means that they are greylisting or DEFERRING any email that comes to them. Our system should automatically resend the message when appropriate. I've been doing a bunch of Comcast Business Class internet setups lately. With 25mbps download speeds and a affordable pricing for Small to Medium Enterprises (SME's), who can blame the customers. I'd do it too. The issue with the cable connection is that it isn't guaranteed. This means it could go down for any reason what-so-ever and there's really no re-course. Not good for an office fully of paid salaries trying to accomplish daily tasks. So I also have a backup T1 connection. Funny because historically T1 connections were soooo much faster than speeds at home. I usually install my own equipment (ROUTER) behind the MODEM. When doing this, 2 items I notice. -open INTERNET EXPLORER (big blue 'e' on computer). -at the top where you type in a web site, erase everything up there. -hit ENTER (or RETURN) on the keyboard. Turning off DHCP should be pretty obvious. -checkmark "Disable Firewall for True Static IP Subnet Only." That's it. Enjoy your highspeed, really, really fast business class internet from Comcast with a static IP. There still seems to be some kind of memory leak or wireless driver issue with the new drivers but I'll wait and see it improves. 4.Channel 6 if possible & Channel 8 if not possible. SITUATION: Repair install on Windows XP. Must activate. Can't activate... get black screen. 01.1. Turn On your PC. 02.2. Press F8 repeatedly and go to SAFE MODE WITH COMMAND PROMPT. 03.3. Click RESOLVE LATER (a black screen with show). 07.6. Wait a couple of seconds (although you will Not see any change). 09.8. You are now able to go to Normal Mode again (For another 30 days !!!). I've had a Palm Pre for more than 2 years now. Like dog years, that's about 14 years in technology world. After this time, the phone started to show signs of wear. Random shutdowns, cracks in the case and the like prompted me to move to a newer, better looking model that requires less maintenance. I switched to the iPhone 4s. The decision was more out of necessity, than by choice. What other phone could I really choose? The Android or Droid is absolutely horrendous. So that left me with one option, the iPhone. While it seems like everyone has this phone and absolutely loves it, I'm a little different. After only a week, I can already find myself wanting some of the features of the Palm Pre I've become accustomed to. Perfection is achieved perfection not when there is nothing left to add, but when there is nothing left to take away– Antoine de Saint-Exupery . This has much to do with User Interface design or UI. But it also has to do with how we operate and perform tasks. In projects, I refer to this as processes and procedures. Only give them the buttons you want them to use. If you don't want them to use a button, don't give it to them. Don't give them 2 steps when you can only give them one. You get the idea. As I apply these ideas to the iPhone 4s, I'm amazed. Not at what a wonderful tool it is but how in the world did it become so popular? There are great items about·the device·and it's a cool party topic but most of it is soooo 2007. It's almost 5 years later. We deserve more. We deserve the features the Palm Pre had over 2 years ago. 01. Visual notification. This is really a stroke of genius. The Palm Pre had a visual notification when someone emailed me, texted me or called me. If I didn't get the buzz (or disabled the buzz altogether), the light would flash letting me know even from across the room that something happened. That's great because I'm not tied to my phone all the time but it usually is in close proximity. Now I have to do 4 steps with the iPhone, get the phone, turn on the screen, swipe it to activate and visually check for messages. With the Palm Pre, this only took a glance of my eye. No extra steps required. 02. Unified Swiping. 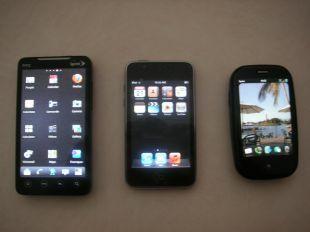 This means that with the Palm Pre, everything was like a book, left to right. That's great because to go back, you don't have to find a button, just swipe to the left (or book backwards) at the bottom of the phone and it will take you back. Again, very intuitive. The iPhone has back buttons scattered all around. Sometimes at the top, sometimes at the bottom. I find fingers going schitz looking for where to push. To me this translates as a slowdown. With the Palm Pre, this is only a swipe of a thumb from the hand that's holding it. No extra steps required. 03. Card Multitasking. This was brilliant as well. On the Web OS, every new item was a card. A simple push of the button will allow you to visually see all the cards so that you can get to the one you want. Want to see a contact while writing an email? No problem, just push one button to activate the carding system and go to the contacts. Then go back via the same route you came. No extra steps required. 04. Screen Size. Believe it or not, in some cases, the screen size was larger on the Palm Pre than the iPhone. When I have to text something, the virtual keyboard takes up more than half of the physical screen size leaving my texting visual field to nearly that of a calculator I had in high school. Ugh... I miss the larger usable screen size. 05. Texting App. I can barely read texts on the iPhone. I don't need to shrink and see a comic-bubble like on the iOS. The WebOS had texting in full font size and differentiates people by a simple different color background. It also time stamped conversations easily to see when conversations happened. I miss the WebOS texting app. 06. Cloud. I mean really. It's November 2011 and the iOS is just coming out with cloud which requires a forced upgrade. WebOS has this by default and has it by design and since inception almost 3 years ago. If I drop the phone in the ocean, who cares. I buy a new one type in my username and password and viola... all my important stuff is there including my APPS. No extra steps required. 07. Synergy. This is something iOS still hasn't caught onto. Lets say I have a Facebook Friend named Dallas Herrmann. Guess who's contact is in my contacts? Dallas's. Guess who's picture shows when Dallas calls? Dallas's. I didn't put it there, it pulled from Facebook. Chances are if he's my friend in Facebook, he'll call my cell phone. If he changes his picture on Facebook, it changes on my phone. I can override this of course. I really liked this. No extra steps required. 08. Phone App. The Phone App on the iPhone is terribly thought out in my opinion. Going from voicemail to missed calls to contacts is clumsy. Trying to make a phone call requires more scrolling than an ancient library. Finding contacts is such a slowdown since everyone is listed by last name. With the Palm Pre, I open the phone app and start typing either their first or last name and a short list shows. No extra steps required. 09. Notifications. On the iOS, I get a little read circle with a number. That tells a whole lot of nothing. The WebOS has a notification system that shows a notification with what happened and who did it. Getting rid of them wasn't entering the app, it was a simple swipe to remove the visual item. No extra steps required. 10. Touchstone Charging. The iPhone still has to be plugged in to get a charge. The Palm Pre could have a touch back that rested on a pedestal. This limited the chances of breakage of tiny part or of dirt entering the internals of the device. It was less moving parts. No extra steps required. So there you have it, the top 10 items I miss most about the Palm Pre and WebOS. I could have put other items in like the single swipe to delete emails or the sticky note app but the list above is good. If I missed something or if you just want to sound off, let me know. We're a small group. Also note that there are things that I won't miss about the Palm Pre that should be put into a different post.·As well, there are items about the iPhone 4s that are superior to the Palm Pre which again is a different post altogether. I suppose my biggest suprise is the lack of support of a large company for the WebOS. It is a viable and in some cases preferred alternative to the iOS. Not everyone needs to have games and apps of the iOS. People like me don't have time for that stuff anyway. What we need is productivity. And that seemed to be the gap the·WebOS filled for me. My device needs to do some things really, really well: phone, contacts, calendar, email, texting and twitter. In my perfect world, Sprint would have bought the WebOS (instead of HP, yuck) and married it to their services. This would have created a synergy in the mobile communications sector defining themselves for productive people and attracting people who don't prefer the iOS or want·the opposite of items that can be seen as childish. Doing this would have created a clear personal brand that defined Sprint and WebOS for productive people and pitted themselves against the iPhone which is nothing more than an unproductive toy that requires attention that I·have set for other important items. I would used a tag line, Productivity Begins. I will list out the horror story later. Basically if you have a "No Sim Card Installed" or "No Service" message. Do the following exactly. Do not read into the instructions - just perform the steps. 1. connect iPhone to Mac with iTunes. 2. remove the SIM CARD (take a paper-clip and push it in the top pinhole to eject the card). 3. put iPhone in DFU mode (that is holding down the POWER BUTTON & HOME BUTTON both at the same time for exactly 10 seconds. Release the POWER BUTTON only). 5. wait til it is finished. 6. when the phone boots, it will show "No Sim card." Don't do anything yet. 7. simply put the simcard in the top SIM CARD slot. 6. the phone will activate the phone automatically. Update: 11/03/12: This is one of the most popular articles on this web site. Please note that this info is provided as in my own experience and it isn't meant to fix your particular issue. Please make sure you've backed up everything. Please make sure everything is synced. Please refrain from emailing me, asking me for support. If you want my advice, upgrade your phone to the latest version available (iPhone v5) and have the store/service transfer everything. Recently I was at a medical office in Stuart. The office was sending huge x-ray images to various places. The issue was sending the files was taking forever. They couldn't understand why it was taking so long because they had a DSL. I asked it they ever considered a T1? They said they didn't understand what a T1 was compared to their DSL line. 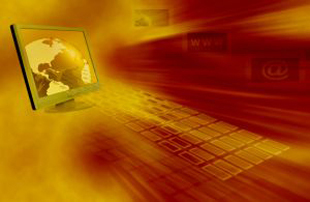 Internet connections are measured in two ways; download speed (or receiving speed) and upload speed (or sending speed). Download speed is the speed by which we surf the internet. Your laptop is getting information from somewhere else. Complaints asking why the internet is so slow is always download speed. Upload speed is the speed by which we send emails. Your laptop is sending information to somewhere else. This is why their complaint about slow in sending prompted me to inquire about a T1 consideration. Furthermore, we measure speeds in megabits, Mbp, (not megabytes, MB, like we normally do). Here's how the connections stack up. Their DSL was a 6Mbps. This is a 6Mbps maximum download speed. Upload speed probably around 0.250 Mbps. Their T1 is going a to be 1.5Mbps. Upload speed is going to be 1.5Mbps. This is a 500% increase over a DSL line in upload speed. Giving the best chance at sending the xray images. The most important factor of T1 is that it is guaranteed. This means it is guaranteed to be running all the time. Worries about their internet going down like it did in the past won't be an issue anymore. After explaining the differences, we'll be installing a T1 at their office this week. 15.-change to: "Microsoft Application Virtualization DDE"
Yes... that took me about 2 hours to discover. I don't choose to hate Microsoft.... they force me to hate them. This one is for me because I can never remember or sift through the endless pages of info on web sites concerning this. 07.-Reboot and start in Normal mode. 12.-Re-apply the necessary service packs and updates for COM+. -add a virtual domain to the server. -configure external domain name provider (in this case, ENOM) to point to server. -configure external domain name provider to point MX records to gmail. 4.domain.tld. 1800 IN MX 10 ASPMX.L.GOOGLE.com. 5.domain.tld. 1800 IN MX 20 ALT1.ASPMX.L.GOOGLE.com. 6.domain.tld. 1800 IN MX 30 ALT2.ASPMX.L.GOOGLE.com. 7.domain.tld. 1800 IN MX 40 ASPMX2.GOOGLEMAIL.com. 8.domain.tld. 1800 IN MX 50 ASPMX3.GOOGLEMAIL.com. -send an email from primary domain to virtual domain. -get a bounce basically saying "Recipient unknown"
7.-if no longer dirty then reboot (no more ckdisk). An SSL Certificate in layman's terms is a vouching system. In other words, you are who you say you are because a large company has verified it. If I had a company, say like Dak Networks Company, how would you know that the web site you are on is actually the company web site? There's no way of actually knowing. Unless, of course, someone you trust told you that it really was the company web site. Then you would feel secure that you were on the right web site. This in essence is what an SSL Certificate is. You pay a company. They do a little research to verify who you are. They hand you a certificate. Easier said than done. You need an SSL Certificate to create an SSL connection or to have the HTTPS for you web site. More importantly, you have to install it correctly for the web site not to complain. If it isn't installed correctly, people get weird messages when they visit your site like "there's a problem with this web site." So unless you want to field phone calls all day long and repeatedly say, "Just click continue" which drives you absolutely insane, you better make sure the SSL Certificate is installed correctly (sounds like I have experience with this?). I have an SSL Certificate... Now What? You have to install the SSL Certificate on your server. This is the issue. SSL stands for SECURE SOCKET LAYER. In layman's terms SSL is a secure connection. When you type something into a web site, any web site, and click SUBMIT, the information you type in can be seen by those young kids who know how to hack. SSL prevents those kids from seeing what you type in. SSL securely transmits the information you type into a web site so that no one can see it. Except, of course, the people who you're sending it to. Find the ADDRESS BAR at the top of your web browser (see picture). You know where you type in a web site. 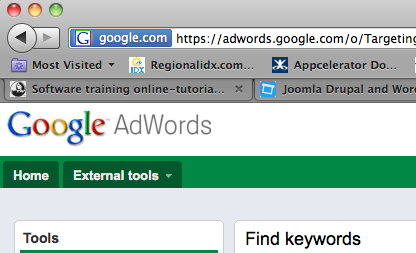 You can typically tell you're on an SSL web site because you'll see HTTPS in the beginning of the bar. The "S" stands for "secure." Also, recently, the ADDRESS BAR is changing color when an SSL connection is being made, sometimes blue (see picture) & sometime green. What do I need if I want to do an SSL for my web site? You need an SSL certificate from an authorized browser partner. When you get a RapidSSL Certificate (see instructions below somewhere), you have to install it. You also have to install the intermediate certificate. You also have to install the parent certificate or the certificate authority also known as the Root CA. The intermediate certificate & root certificate together is known as the CertificateChainFile or intermediate file or intermediate bundle or CA bundle. In this directory, you should have your server.crt, the certificate that you bought & they sent you in an email. You should also have the INTERMEDIATE CERTIFICATE FILE. This is also called the CA BUNDLE. Caution! They only send you the single intermediate certificate in the email. They don't send the bundle. You have to get it. Also, they send a link to the incorrect CA bundle in the email. The problem with the RapidSSL bundle is that it contains the RAPIDSSL CA & the GEOTRUST CROSS ROOT CA and nothing else. This works fine for newer devices like ANDROID phones as they have the GEOTRUST CROSS ROOT CA installed as something they can trust. But it doesn't work for stable production systems like CENTOS 4, RHEL 4 or anything with OPENSSL v0.9.7a-43.17.el4_8.6 . The problem is that these items have a different CA STORE or items they can trust and the GEOTRUST CROSS ROOT CA isn't in the STORE. Great! We have to join these together into one certificate. This ensures you have no error messages on the browsers (firefox, opera, safari, ie) and it ensures you have no error messages on the email clients (thunderbird, etc). Both will give you the chain structure and where it breaks, if it breaks. Caution! If it tells you, you have a self-signed certificate, that's fine. The ROOT CA is always a self-signed certificate. Hope this helps someone. Most importantly me, since it took a good 48 hours to pull all this together from different places & trial and error. This can be done a few ways. You can do this with PUTTY on a WINDOWS pc. You can do this with OPENSSL on a REDHAT server. Choose one. It doesn't matter. Below is for OPENSSL on the server. 2.openssl req -nodes -newkey rsa:2048 -sha256 -reqexts v3_req -keyout www.regionalidx.key -out www.regionalidx.csr -subj "/C=US/ST=Florida/L=Jupiter/O=Regional IDX/OU=IT/CN=www.regionalidx.com"
NOTE: Please do not enter your email address, challenge password or an optional company name when generating the CSR. Great! You have a key as well as a certificate request (csr). 1.login to your account where you bought the certificate. 1.the certificate provider (GEOTRUST, VERISIGN, etc) should email the AUTHORITATIVE EMAIL (admin @yourdomain.com) as listed out in the domain name WHO IS. 1.the certificate provider (GEOTRUST, VERISIGN, etc) should email you the certificate. 5.paste it into the CRT file. They may also send you an INTERMEDIATE certificte. If needed, paste it into it's own file. If you have a certificate error for an email server, your IPOD/IPAD/IPHONE may not notify you of an issue, which doesn't allow you to click OK, which doesn't all you to get email. It simply says, "Cannot connect to server. Check the settings and try again." 1.on your Mac, go to the web site with the certificate issue (my issue was a name mismatch). 4.open your Applications->Utilities->Keychain Access app. find your mail server in the Name column. There may well be more than 1 entry. Find the entry that has “certificate” in the Kind column, and that has the most recent Expires date. This is the certificate you want. 3.save the file on your desktop. 4.attach it to a new mail message. Send the email to yourself. 5.on your iPhone/iPad/iPod touch, open the email. 6.tap the attachment. This will open an Install Profile window. 7.tap the Install button to install the certificate on your device. You should now find that you can send and receive email. If not, reboot your IPAD/IPHONE/IPOD. To find the installed certificate, just tap Settings -> General -> Profile. It's a Saturday on a holiday weekend. By 10am, I had more than 5 voicemail messages and 5 text messages. All "Little Stuff" that is sooooo important that it can't wait till the beginning of the next work week. This is why I've pretty much exited personal tech support and why I'm moving into teaching. Ohhh... Before I forget. Payment for today after working for 8 hours straight.... zero. 12.-that's it! You should be able to run EXE files now. 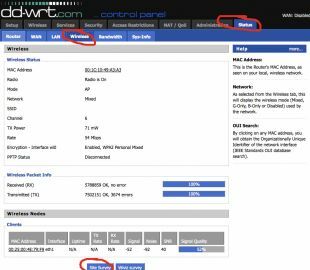 Here's the simple steps to get a second DDWRT wirless unit to extend the orginial. Putting here so that I don't have to look it up again. I always seem to forget some of the settings. -start from scratch. This means start with a plain jane vanilla ddwrt without any customized settings. -login & change USERNAME & PASSWORD to something customized. -click SITE SURVEY (at the bottom). -(a screen with a list of the wireless signals will show). -find the one you want to extend. -click JOIN (at the right). -(this will automatically fill in the BASIC SETTINGS for the wireless). -wireless channel: match the channel on the main unit. -click WIRELESS SECURITY (at the top). -security mode: (match the security mode on the main unit exactly including TKIP or AES. 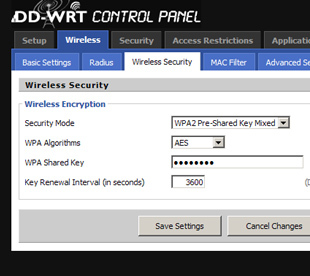 If a new setup use WPA PERSONAL AES). -(note: cannot do WPA2 Personal Mixed). -click SAVE (at the bottom). -wait 3 minutes for everything to come back on and sync up. -you'll be able to see the signal strength between the two units. If it's too low, move them closer together or in a more direct line of sight. Here's the deal. Fake infections on Windows XP & Windows 7 have been hiding folders in LOCAL DISK C.
Basically we have to unhide the hidden folders. We also have to move the START MENU shortcuts back. My life has been turned upside down lately. It all started with my car. I needed to replace it. So I bought the same make and model but a different year. It's amazing how different user interface items change in the span of a few years. The cruise controls were different, the center console configuration was different and radio was different. My family tried to convince me that these items were better but if you're like me, you know that this isn't true. They conspired with the car to accept it as better. But I didn't want to learn how to do something new. I already knew how to work all of those items just fine. Then the same thing happened to my TV as Comcast changed the user interface on the cable box without asking me. The nerve of them! At least give me the option of going back to the old look and feel. Even the buttons on the remote don't respond the same. Then it happened to my phone. The PalmPre was discontinued by Sprint so I took the opportunity to change to the most popular phone system, the Android on brand new 4G technology. I got a new larger screen, joining everyone else and of course a new user interface. I gave it my best to adapt to the new controls that were supposed to be better and it shouldn't have been that hard. After all, I already knew how to use one smartphone, translating that knowledge to a new smartphone should be easy. But I missed many of the features of the PalmPre. I didn't have buttons anymore, it was all on screen. Getting my clumsy thumbs to hit the letter I wanted proved to be too hard. This made the spell correction an absolute necessity. But it corrected many items incorrectly and in my tech world many items are spelled awkardly to begin with; OSX became "occasion". And my last name is my last name, whether I like the spelling or not isn't the point. Just stop asking me if I want to correct it. I don't. This all lead up to making my texts & tweets incomprehensible. Everything from "Woof you call me?" to "I'll be huff in a boat 2 hores." (I'll be home in about 2 hours.) Nice upgrade. The larger screen was nice. But was it too large. That whole item of being happy to see someone and pockets started to come to mind repeatedly. Also, when the onscreen keyboard was showing, the screen didn't seem to be that large anymore. It actually seemed smaller. This larger screen lead to the battery dying by dinner. Bad for any family member trying to connect for the nightly ritual. The worst of it was the user interaction. What took one gesture on the PalmPre (swipe to delete an email) now took 3 with the Android (read email, menu, delete). The simple measure of going back even with it's permanent button seemed to not take me where I wanted to go. And switching applications was a seemingly impossibility. Combine this all together and I was missing texts, missing phone calls and missing family dinners. I gave it my best go for two weeks. As soon as I hit the two week mark, I switched back to the PalmPre and WebOS. WebOS, you're my hero. Never did I miss my swiping so much. A round of malware has really turned up lately that once it's cleaned with Malware Malbytes, the computer won't run EXE files. It says, "Windows cannot find the correct program to open blahblah.exe, choose a program from the list." -in the right pane, double-click the (Default) value. That should do it! You can now run EXE files again. If it still doesn't work, you may have to fix EXE file association with this zip file. I hate drivers. I really do. Just wrestled with another AC97 (AC 97) REALTEK driver issue on an older computer with WINDOWS XP SP3. 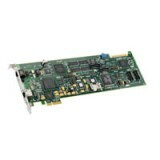 The board was an INTEL D845GRG (audio was a 82801DB). The driver from REALTEK kept rebooting without finishing (WDM_A406) and the INTEL drivers kept saying, "DRIVER NOT FOUND" with the SOUNDMAX installs. A patch is required before any of the HD device drivers are installed, but the patch will only go on XP SP2 computers. I'm putting this here so I never have to deal with it again. I got a flyer in the mail from Comcast today. It headlines that they've "doubled [my] internet speeds." Further it claims that the fiber optic network in Jupiter, FL has been "enhanced." The flyer claims that speeds of up to 25Mbps are possible. All I have to do is "unplug [the modem] from the power source for ten minutes." To the left, you can see a poor image of the flyer from my Palm Pre. Cool. Rather than just giving it a shot, I'd thought I'd do a "live" before and after to see if it really works. I'll use Speedtest.net for my tests. Speedtest tries to measure your speed between your location and a server. Since the server location is important, I'll pick a server relatively close to me in Boca/ Miami about 60/90 miles away (rather than a server outside of the state of FL). You can see before in February 2011 my speed was around 12.6Mbps. Now in April 2011 my speed is about 28.11Mbps. Good enough for me. Thanks Comcast. This is faster than my T1 connections I have all over Palm Beach County and my Metro-e connection on PGA Blvd. If you can get Comcast around here, it's a definite no brainer -yes! Then why do I have a Metro-e? Good question. Because a Metro-e is guaranteed not to go down. Since the office has about 50 people working in it at all business hours and since the office processes more than 1billion dollars a year, it is worth it to spend extra to have peace of mind that the office won't have issues. The COMPLIANCE SERVICES of 400 Capital Cir SE, Postal Mail Box 18321, Tallahassee, FL 32301 is a complete scam. The COMPLIANCE SERVICES of 400 Capital Cir SE, Postal Mail Box 18321, Tallahassee, FL 32301 is a complete farce. Do not do business with the COMPLIANCE SERVICES of 400 Capital Cir SE, Postal Mail Box 18321, Tallahassee, FL 32301. You can see the official warning and consumer advisory posted by the State of Florida on their web site at http://sunbiz.org here. You can see they reinforce the fact that the COMPLIANCE SERVICES of 400 Capital Cir SE, Postal Mail Box 18321, Tallahassee, FL 32301 is a complete scam. In fact, in the above blog post quoted as saying, "Sarelson Law Firm is investigating a potential class action lawsuit on behalf of anyone who paid "Compliance Services" the $125 fee." The Compliance Services of 400 Capital Cir SE, Postal Mail Box 18321, Tallahassee, FL 32301, is a company unrelated to the Florida Division of Corporations. They are sending out notices through the US Postal Service with a marking of "TIME SENSITIVE" concerning a $125 fee for annual corporate minutes. They try hard to make it look like an official letter from the State of Florida. They even put a due date on the letter. Only people who read the fine print realize that the Compliance Services of 400 Capital Cir SE, Postal Mail Box 18321, Tallahaee, FL 32301, is a company unrelated to the Florida Division of Corporations. However this is after the bolded headline which reads, "ANNUAL MINUTES REQUIREMENT STATEMENT DIRECTORS AND SHAREHOLDERS (Business Corporations)." They all echo the same concern. 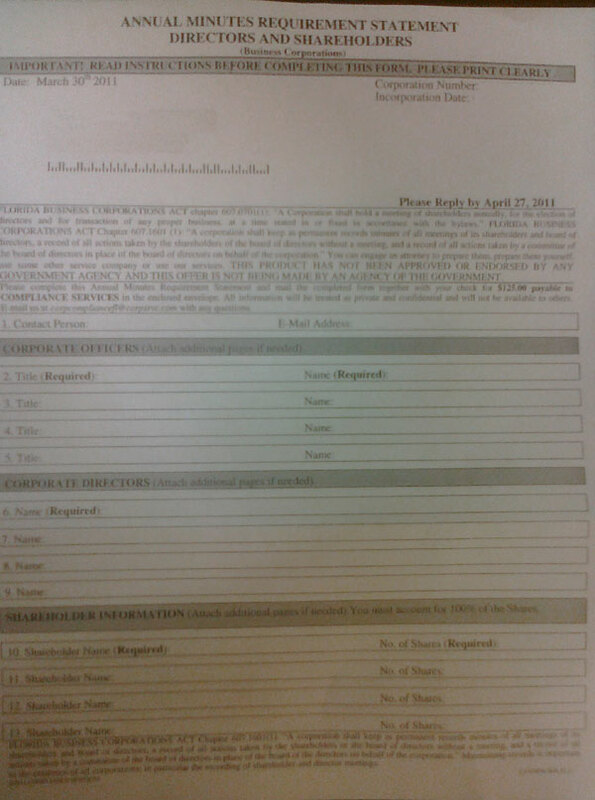 That the Compliance Services of 400 Capital Cir SE, Postal Mail Box 18321, Tallahaee, FL 32301, is a scam. If this is all it takes to make some quick cash, I'm in the wrong business. I might as well start a company call the Computer Compliance Services and base it on 400 Capital Cir SE, Tallahassee, FL 32301. Enough Proof that the Compliance Services of Tallahassee, FL is a Scam? Hopefully, this page has provided enough proof that the Compliance Services of 400 Capital Cir SE, Postal Mail Box 18321, Tallahaee, FL 32301, is a scam. I have a friend who thinks that the push towards Apple desktops and laptops is just a fad. He really believes that in the long run, companies are not going to be able to incorporate Apple desktops into their businesses. Will Macs Be Accepted in the Workplace? I understand where he's coming from. He's in the banking business where people are traditional employees and the information belongs to the company. The company can't handle a dual environment between PC's and Mac's not because it's impossible but because it's one more thing. Basically they are saying that the era of keyboards and desktop towers are gone. Not needed. They are indicating that the "app stack" or applications like WORD, EXCEL, FILEMAKER PRO are not needed anymore. All of these types of applications are available on the web. If you are like me, you're wondering where all this is going. And I'll tell you. I don't know. It really has to do with how the general public accept these types of devices. Most companies will initially resist. Simply because, like my friend above, they are not sure if this is going to last. But if the pull is so strong that companies cannot ignore, they will incorporate items like iPads into their support systems. You may have to learn something new, yet again. But it isn't that bad this time. You don't need that much dexterity. Everyone can point and click with their finger. We will see iPads invade the small workplace. They're fun, affordable and currently don't break. We don't have to deal with items like spyware, malware and TDSS rootkits. It might be an actual welcomed scenario. Just had a situation where the TOUCHPAD on an HP G65 laptop wasn't working. Here's the short answer. click CONTROL PANEL > MOUSE. You should be able to enable the touchpad (LuxPad) in there somewhere. Initially, I updated the drivers to the newest on the hp.com/support website. That didn't work. Then I tried to use the drivers directly from SYNAPTIC website. That didn't work. The light in the upper-left wasn't working at all, so I thought it was a hardware issue. I finally tried the drivers that came with the laptop. Bingo. It's just bad drivers. You'd think by 2011 these things would get easier. Shees. PS -I am no way affiliated with DELL, it's just a recommendation from experience. You don't have these types of issues. Spending 1 hour on a trackpad is ridiculous. I've started to see it happen across offices for quite some time now. The rise of the web. This means that you no longer sit at your computer to get access to desktop applications like Word, Excel and Photoshop. And, oh yeah, by the way, that icon is for web sites. Now you sit at a computer primarily for web sites. Photoshop is being replaced with sites like Aviary.com. MS Office is quickly being replaced with items like Google Docs. And when was the last time the general public used anything but web email? What's interesting about all of this is that you don't need a very powerful computer to run a browser. Web masters are going to make their sites accessible for most popular browsers: Internet Explorer, Firefox, Chrome, Safari. Most of us do this with our smart phones. But what should lengthen the lifespan of the computer will make it a target for extinction by Microsoft. MS is primarily in the business to sell operating system (OS) licenses. Knowing that the browser is being all important, the next version of Internet Explorer (IE) v9 will not work on Windows XP. This forces an upgrade to Windows 7 for any industry that relies on ACTIVE X controls. How Much Does Metro-E Cost? While we talked about 4 different types of popular internet connections, we didn't talk about the costs for small and medium sized companies. As you can see above, the Metro-E is the most expensive and having a business fork over this amount of money every month just for an internet connection that only costs $45 at home is sometimes difficult. I would like to make a few points. First, Metro-E's are dedicated connections. Again, this means they never go out. This is huge for a business that determines an internet connection is vital to the mission of the business. Let me help you determine if the cost is worth it for your business. Use your imagination. Let's say your have an office of 10 people. And the internet goes out. It's out for 5 hours. How much did that cost you in terms of labor and lost productivity? Did you lose a client? Did someone not get paid through accounting? Did an employee talk on the phone and pass to a client that "they always have internet problems" putting a bad mark in the client's mind? At what point does it make sense for the business to sign a 36 month contract for this type of internet service? This is something that only you can determine. If you'd like an internet connection specialist to talk to, let us know and we'll be glad to look at the specifics of your situation. I forgot one connection type from earlier that I should mention. It's called 4G. Yup the cell phones. But also, the internet service through small 4G devices. The difference here is that the wireless in your home just needs a password, sometimes called key, to connect and the 4G needs a certain device and authorization from the provider. What's nice about 4G is that is connects not just one device but up to 8 devices at the same time. It is a mobile hotspot. This means anywhere I have the device I can connect my laptop to the internet. Basically, as long as I have my phone and my laptop together, I can connect. And it's fast in 4G areas like Palm Beach Gardens but not 3G areas like Jupiter. I actually have one office running off of a 4G connection. The problem was that a temporary office was opening and they didn't have internet. Getting internet would take a few days around the Christmas season and result in the office missing a key sales period. The location manager just couldn't accept that. Since the office was only going to be open 12 weeks and that there would only be a maximum of 3 people in the office, I setup a 4G connection. The success is marginal because it's in a 3G area in the Wellington Mall. But at least it works. The speed at the location is about 245kbps. I manage over 50 internet connections. The question I get asked all the time is, "Can I get faster internet?" "Of course!" I replied. And I continued to explain their options. Here's the breakdown on internet connections. First of all, we measure internet connections through download speed in what's called kbps or kilobits per second. The higher the number the faster the service. DSL: This internet comes through the phone company. In our part of the world this is ATT/Bellsouth/Yahoo. 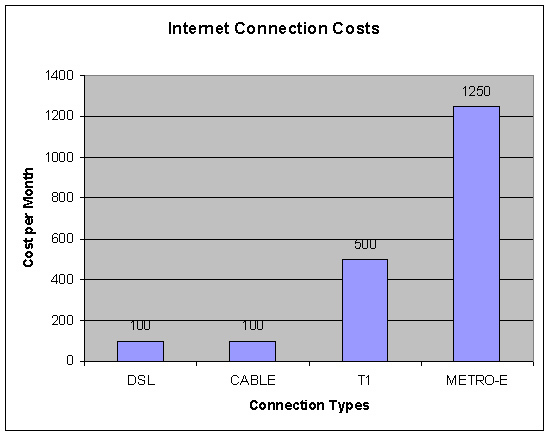 DSL varies in speed depending on equipment in your area and how close you are to that equipment. Typically in my experience, DSL is around 1000kbps or 1Mbps. CABLE: This internet comes through the cable company. In our area, this is Comcast (used to be Adelphia). Cable internet is currently king for most residences and in my recent tests gets a whopping 12,600kbps (or 12.6Mbps). That's fast! The problem with two options above is... they are not available everywhere. For example on PGA Blvd, they are not available to businesses. This means that if you want the service, you cannot purchase it. You cannot pay the companies to install it. You cannot have what you have at home, in the office. It no-o exist-o. One more item you should know about them. They are not guaranteed services. This means they can go out for any reason at any time. When will it be back up? Who knows. Sometimes a few hours, somestimes a few days. In one experience I had, it was over 30 days before the DSL was up at a business location. The longest I ever had Cable out was for over a week. So companies offer guaranteed services. These are services that are guaranteed to be on all the time. That's 100% of the time. Businesses like that. There's nothing worse than paying 30 people in an office with no internet. It's office gossip time as soon as it goes out. T1: This internet is from the phone company. It is available everywhere. The speed on this is 1,500kbps (or 1.5Mpbs). Sometimes if a T1 isn't fast enough businesses will purchase two T1's and join them together. Metro-E: This internet is is becoming the preferred choice of services for businesses. A Metro-E is in fact a partial fiber line. This is also known as an optical cable line (OC line). But fiber is so fast, that they limit it's speed. The speed on this is 10,000kpbs (10Mbps). That's screaming fast! Full fiber line or OC lines are also available. Unfortunately, I only know a handful of companies that have this in the Palm Beach County area. Usually limited to large office complexes, hospitals, schools and the like. I can't comment on them because my interaction has been limited. I always have trouble with iFax after I upgrade the kernel on my RedHat fax server. Here are my notes to upgrade the Brooktrout / Cantana / iFax / Hylafax / Dialogic / bt-tr1034 driver. The kernel-smp version, the kernel-smp-devel version must match. The kernel-smp will probably be upgraded via YUM automatically. But the kernel-smp-devel may need manual intervention. At an office on Palm Beach at the Paramount building has 2 separate spaces; one downstairs and one upstairs. The problem is how do I get the T1 internet I installed downstairs and bring it upstairs? It may seem simple but consider this. Because the space was never intended to be used this way, there is no existing wiring in place to link the offices together. Also, the Paramount is a registered historic building, meaning that most of the additional low voltage wiring is exposed. Running a cable from downstairs to upstairs is possible but also tedious and tacky. I always like to use a Wireless Client Bridge. It's perfect for these situations. It links 2 places together through wireless. To be clear, this means that the second place has no internet connection in the wall. The internet connection will come into the second office from the wireless. I've done this a bunch of times; at an airplane broker, at homes where the wireless signal is just too weak for full coverage and at another historic building in downtown Stuart. The trick is that the wireless signal and settings must be exactly the same. Well, I usually setup WPA + WPA2 AES+TKIP for ease of use for the laptops. To my dismay, this caused the wireless bridge not to work. Apparently, it couldn't negotiate between WPA + WPA2. I, of course, didn't know this. So after an extra hour reflashing both routers and configuring the settings, I dropped the security to WPA-AES. Worked like a charm. Internet can be used upstairs through a few CAT cables and the wireless if needed. It may seem simple but consider this. Because the space was never intended to be used this way, there is no existing wiring in place to link the offices together. Also, the Paramount is a registered historic building, meaning that most of the additional low voltage wiring is exposed. Runing a cable from downstairs to upstairs is possible but also tedious and tacky. And it was running on a T1 (or 1.44Mbps) at the time which happened to be the slow point in whole scenario. Now the servers are hosted at a datacenter with redundant fiber connections and the office location where the server was has a Metro E (11.00Mbps), which is a partial fiber line. So what's the point? The point is you can host a whole lot of web sites and users on relatively old computer if you know what you are doing. Another point is, if you're a serious business, have a serious business equipment at a serious business datacenter. It isn't worth it to try and save costs. That document was the goad to rouse me and move the servers to a datacenter. A last point is, I love a supported Linux. This particular flavor was a RedHat server. After 10 years of being dedicated to AVG antivirus, I've finally decided to try something new. There are a few reasons that lead me to choose this. AVG antivirus was wonderful a few years ago. It fit all the requirements: small, unobtrusive, lightweight in terms of system resources and it actually worked catching viruses. Also it had the correct economics, free for home users and business bulk packs for small businesses with servers. Over the years, AVG has become bloated. Going from 31MB in v7.5 to a whopping 141MB in the latest v10. Downloading the package takes awhile on business T1's and goes against our core beliefs. Adding an extra 10-20 minutes just to download something doesn't thrill us. AVG has become obtrusive. It's continuous nagging messages about upgrading to pro and trying out system speed is pure tricks to the unknowing, fooling them into paying for unnecessary items. AVG has become a burden. On more than one occasion, AVG doesn't install correctly, zarks the install and removal can be a lengthy process. This is on top of the already lengthy install process. The system resources needed to run AVG has also increased becoming a burden on the system.The system dogs and pants every time a scan is run. Not cool. Lastly AVG is unable to catch the TDSS rootkit. Despite saying it catches rootkits, AVG doesn't. This requires other tools like ComboFix. The problem is ComboFix doesn't work with AVG, requiring an AVG uninstall, ComboFix run and AVG reinstall. Again, not cool. At the suggestion of Majorgeeks.com, I've decided to try Panda Cloud Antivirus. It meets all the original requirements: small, unobtrusive, lightweight in terms of system resources and it actually works catching viruses. Panda is a small 31MB and downloads in a few seconds. I like that. The install process is a breeze and doesn't try to upsell you on anything. It is a server/client system. Unlike traditional server client systems, the server is Panda's server, making this the first cloud antivirus available. The Cloud Antivirus is unobtrusive. This means no nagging messages after installation. Panda's pricing is right with a free version and a professional version for those in need. I'm just excited I get a large part of my day back as service calls have just become shorter. Hopefully this doesn't turn into longer calls as I have to see for myself about its virus catching quality. Wish me luck. Recently a condo building on Palm Beach asked us how much it would cost to provide wireless internet to the building. The idea here is that it's silly for all of them to pay internet separately ($40 * 100 = $4000). If they can share one internet connection, it will save them money ($x * 1 = $1x). As an added bonus they'll be able to do surf the web while at the community pool. A hard quote can't be provided until a site survey is done. But here's a soft quote so everyone know what's involved. One internet connection will be shared for everyone. The speed of this connection depends on the number of people using the internet and what they are using it for. COMCAST should be OK for regular office surfing and email. But some offices need an upgraded internet to a fractional optical cable / fiber line called a METRO E.
The wireless units need to be actually wired together and meet at a central location. If no existing wiring is in place, then it will have to be installed. Ballpark is $250 per connection. After the internet is installed, the equipment is in hand and wiring is in place, the whole system needs to be setup correctly, taking a full day. Sometimes further support is needed for customer help (upgrading outdated wireless drivers). One Palm Beach apartment complex used a DSL connection they had in place. They used 6 consumer-grade wireless units to keep costs low. They had their own on-site handyman wire the building. So the total cost was minimal about $1,500. Another complex had a site survey done for 3 buildings. They needed all of the above. The total quote was around $37,000 and the project was scrapped. A community center on PGA Blvd (45,000 sq ft) used an existing T1 internet connection (around $500 per month). The Cisco equipment, wiring and configuration cost around $10,000. Pursuing wireless for a condo building on Palm Beach is a decision each community will have to face depending on complex layout and funds available. It isn't worth it to deal with hardware problems. Combine this principle with the others I've stated like time is the most precious resource and the Murphy's law principle from last time and you'll appreciate this story. I had a recent snowbird, from Manhattan, in BallenIsles. A simple call to setup a monitor, nothing big. Monitor setup was no problem. Windows XP starts to boot then fails and begins to endlessly reboot. I try everything I can think of, safe mode, last known good config, boot into BartPE, boot into Knoppix and I even try a repair install. All end in the same result. Endlessly rebooting. Yes, even the repair install. What do I do? A simple monitor install has turned into a service call worst disaster. After an hour and a half of tinkering, I have a total loss of everything. I buy off lease systems in bulk and keep them around for fast office setups. They are about 2 years old, Dell Optiplex systems. Total cost of each system is barely over $100. I run out back to my office, grab one of the systems and put it in place of the troubled item. Transfer over the user profile and finally call it a day. Total service time was 3 hours. Which is a loss for me as I charge by the job and not by the hour. The win here is that the issue was fixed as fast as possible and the client was relatively happy. I can't explain it. I wish I really could but I can't. Murphy's Law is a common adage that says, "Anything that can go wrong, will go wrong." With over a decade of hands on technology experience, I can tell you that's it's true. This past week, a client had battery backups in place to keep the internet connection alive at all times. The network equipment is secured behind lock and key however the power extends beyond that secured area. Guess which plug the night time cleaning crew unplugs to get power for their vacuum? And it's a Friday night meaning no one knows until Saturday morning. I can't explain it. I wish I really could but I can't. My advice is to have systems in place that cannot fail. Pay extra when the space is being built out to have everything wired correctly and centralized in a logical place. For network equipment and servers, make sure you have adequate battery backup power. Be certain they are on a scheduled maintenance plan meaning you have the equipment switched every 24-48 months rather than waiting for the batteries to fail. Also make sure· the systems are behind lock and key of some type. You wouldn't believe the number of times an unqualified employee tries to fix "slow internet" causing even further damage. Don't even give them that chance. Even with all this preparation, you may find yourself saying to yourself, I can't explain it. I wish I really could but I can't. I ran into 3 TDSSvirus infections yesterday. All at separate locations. This is despite the computers having antivirus up and running. and reportedly Hitman Pro will work too but I've never used it. -Download Dr Web from above. -Download TDSS Killer from above. Now the servers are hosted at a datacenter with redundant fiber connections and the office location where the server was has a Metro E (10.00Mbps), which is a partial fiber line. The most frustrating aspect of technology is getting it to work the way it's supposed to. Recently I was at a legacy client's condo on Palm Beach, waterfront views on 3 sides. They had a remote that couldn't control the volume on a tv. OK, first, it seems like it should be an easy type of issue. There are remotes that go through this everyday and get fixed easily. Secondly, these are high-end items. It wasn't like it was a remote and tv that can be bought at your local Walgreens. Yet there the client was, hiring an audio/visual expert, not me mind you, get it fixed. The hired help was explaining how it just wasn't going to work. Not the words you ever want to speak or hear. Dell Optiplex: moving to the Optiplex series automatically cut my issue list in half. In general, they are stable. Macbook Pro: for those who must go Mac. Don't even consider the younger brother of the generic Macbook. Asus RT-N16: this router has more memory & processing power to run without ever locking up. Plus it's wireless N and gigabit. Canon Multifunction: I've been around the world on this one. Canon is the only small office MFP I trust. That is until you get to the large MFP's. Netgear Gigabit Switches: reliable and affordable. I never had an issue. Every once in awhile I get the opportunity to hear John Maxwell speak live. This started when I was attending Liberty University in the 90's and now our paths cross again in the 10's. 9am feeding... my favorite thing. 10am walk... my favorite thing. 11am nap... my favorite thing. 12pm watch cars at the door... my favorite thing. 1pm sit next to owner... my favorite thing. Day 1057 of my captivity. My captures still insist on tormenting me by dangling string in my face. As a dog owner, I laugh every time I think about it. HijackThis: The first line to discovering malware on a PC. I've been using it for years. It really takes an outside tool to see eveything starting up on your PC. Sillyness. Malwarebytes: This handy tools gets the majority of general malware on PC's. Run it in SAFE MODE. I'll let you know if I ever become a partner. DrWeb: The only tool I know of that will fix the TSSD infection. ComboFix: Fixing rootkits and the TDSServ/vundo infection. MacBook Pro: Because it doesn't need any of the above. I was driven to having one because the thought of ever fixing another computer made me sick. I've never had to service it since I've owned it. VI: VI is a text editor that has been around since the 70's. Color coded to easily spot errors. Learn it once and use it forever. My geekyness comes out by listing this. You can see the list above ties directly into my conclusion. They fix problems fast, increases productivity and saves time. The best time to buy new hardware is early December and late July. Why? Good question. Early December because of it's proximity to Christmas on the 25th. What happens here is that companies like to hit certain production numbers on a month by month basis. By their nature, they are optimists and usually set the numbers high. When they realize that they won't hit the numbers they set themselves, they start offering discounts to easily obtain those numbers. Or if they will hit the numbers, they like to surpass them and the same situation occurs. You want to buy early in the month because the manufacturer doesn't receive credit until the package is shipped and received. To be able to be certain that the package is received by the 25th, they'll offer discount usually the first or second weekend in December. It will be one or two days only and it will be internet only. It happens every year. Late July is a good time to buy as well because students go back to school in mid to late August. Most students are thinking, "Hey, I go back in 3 weeks, I need a laptop." If they aren't thinking that then the parents are. Late July is better than August because the manufacture knows they won't be able to get all of August, so they shoot for July. This happened when I manned the Gateway Country stores year after year and it still happen today but in online fashion. The best time to buy hardware is early December and late July. Why? Good question. Like all good stories, this one is going to end where it begins. So I figured I just give you the end before I begin to give details. Over the past decade of helping people out I've eventually have come to a few conclusions. Here are the two most important conclusions. It exists for our sake. We do not exist for technology's sake. It exists to serve us and at some point produce some type of item. This item is often time but it also can be money, communication or something similar. I mention this because with the amount of time we spend on technology, choosing right items, configuration and getting things to work, you'd think that we exists for technology's sake. We've all heard, or worse, been through (myself included) stories that start out like this, "I spend all day on trying to get such and such to work." Really? All day? It isn't that I don't believe, it's that I figure at some point along the process of trying to get it to work, you'd give up. Not because you are a quitter but because it isn't worth it. Rote, I know but non the less true. Beautiful beaches, coral reefs, playing with children, calling neglected family members are all things that we could be doing instead of struggling with technology. I try to take this mindset everyday. In practical terms, I try and fix the problems as fast as possible. Also I put a 2 hour limit on it. If it isn't fixed in 2 hours, I simply give up and find another way, often replacing the difficult item. So I started a blog today. Why should you care? Good question. Well, because I have lots of experience. I mean lots. So much that most technology stuff is becoming obvious to me. Then I read something. It went something like this... "Just because it's obvious to you doesn't mean it is to everyone else." You know what? I never thought of that before. I occurred to me that there are thousands, probably millions of people who lack the knowledge and experience that I do. I look at a problem and know just what to do. They look at the same problem and have no idea what to do. The people want recommendations with someone with experience.The people want confidence and assurance that they are taking the right actions. They want help that they are doing the right thing. Since I'm moving in different direction other than service, I thought it would be terrible if I didn't pass my the knowledge on to someone. I figured they best way is to chronicle my experiences and journeys so that others can take advantage. So you are the one to benefit. I'll wrap up my experiences in short blog posts and you can take advantage of what I've been through over the past decade. Most of my experience is with small to medium sized businesses, including home offices. Even if you are a large corporation, you may take advantage of the items. That's why I started a blog. Pursuing wireless for a condo building on Palm Beach is decision each community will have to face depending on complex layout and funds available.